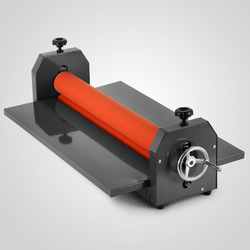 We provide an assortment of Table Top Lamination Machines that are ideal for long-term usage. 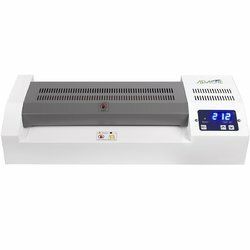 Known for their Green technology, excellent performance and economic power consumption, these laminators are certified as per the GS standards. These high speed laminating products are highly appreciated for their world-class patterns of heating systems. Further, these products are most suitable for professional use & commercial office. We are operating as the successful manufacturer and exporter of Hot and Cold Laminating Machines, which are supplied with warranty. 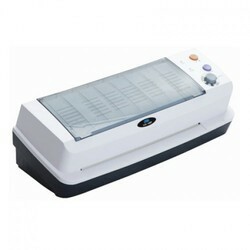 The offered laminating machines are operated by electricity and eliminate the hassle of manual work completely. They are exceptional in housing and suitable for heavy-duty work. 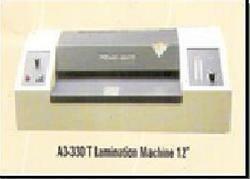 These machines are extensively used in offices and various industries for cold and hot lamination of papers and cards. Royal JP Brand have been providing Reliable and Quality Business products since years in this industry. LAMINATION XL 12 is one such products to provide bubble free , clean, smooth and perfect Laminating quality for Best Impression of your documents/photographs. LAMINATION XL 18 is one such products to provide bubble free , clean, smooth and perfect Laminating quality for Best Impression of your documents/photographs. Royal JP Brand have been providing Reliable and QualityBusiness products since years in this industry. 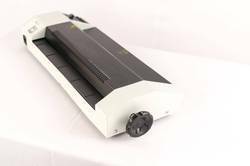 LAMINATION XL 330T is one such products to provide bubble free , clean, smooth and perfect Laminating quality for Best Impression of your documents/photographs. ROYAL COLD LAMINATION is one such products to provide bubble free , clean, smooth and perfect Laminating quality for Best Impression of your documents/photographs. 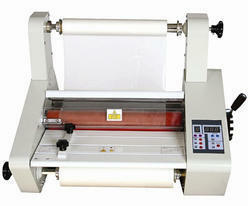 We are offering Roll Lamination Machine to our clients. 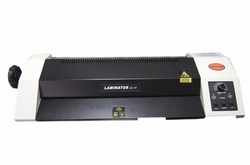 Looking for Laminating Machines ?